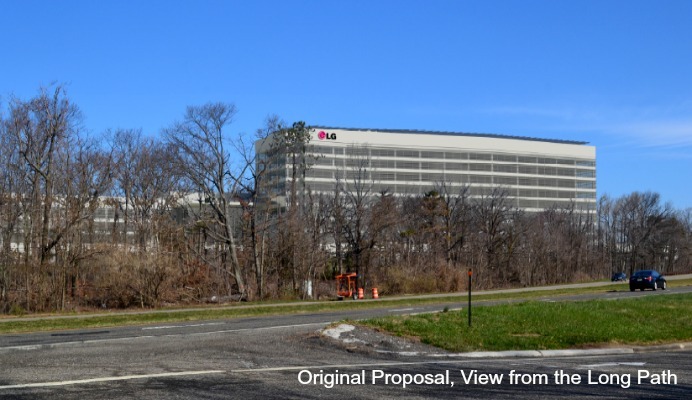 MAHWAH, NJ, June 23, 2015 – Today, LG Electronics USA announced a redesign of its proposed new headquarters overlooking the Palisades in Englewood Cliffs, N.J., reducing the height of the tallest building from 143 feet to the tree line, at 70 feet. The settlement is an amicable ending to a three-year battle in which the New York-New Jersey Trail Conference played an early and leading role within a coalition of environmental and civic groups and thousands of private citizens opposed to the high-rise development in its proposed form. The protest included a legal challenge which the litigants will now ask the court to discontinue. The lawsuit was filed by the New Jersey State Federation of Women’s Clubs (NJSFWC), Scenic Hudson, and Trail Conference members Margo Moss and Jakob Franke. It came in response to the Borough of Englewood Cliffs providing LG with a variance in early 2012 to build nearly four times higher than the long-standing 35-feet limit. When the variance was legally challenged, the Borough amended its zoning code to permit construction of buildings 150 feet in height along the Palisades Interstate Park. Larry Rockefeller, a Trail Conference member and trustee of the National Resources Defense Council, raised the alarm in October 2012 and enlisted the support of the Trail Conference and Federation of Women’s Clubs. This began a series of grassroots advocacy efforts to persuade LG to build below the tree line. Under severe local public pressure, in August 2014 the Englewood Cliffs Council unanimously adopted Ordinance 14-11, which restored the original 35-feet height limit throughout Englewood Cliffs. 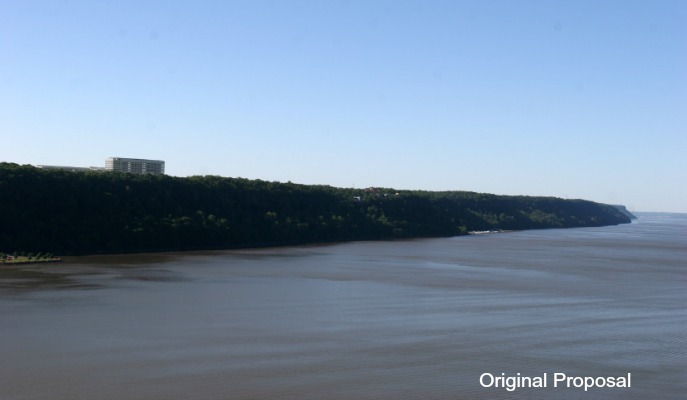 However, due to the variance previously granted, LG retained permission to build well above the tree line, which would have marred the view of the Palisades cliffs, a National Historic & Natural Landmark north of Fort Lee, N.J. In confidential negotiations, attorneys for LG and the plaintiffs, engineers, and architects worked diligently for 10 months to reach the win-win settlement agreement. The Trail Conference applauds LG for the final design which is sensitive to the historic and environmentally sensitive Palisades and in keeping with the company’s reputation as a good neighbor and corporate citizen. The settlement means that as soon as formalities are completed, work can begin on construction bringing badly needed jobs to stimulate economic activity in the community. The legacy of preserving this precious landscape by citizens of both New York and New Jersey dates back over 100 years. In 1896, the Federation Women’s Clubs successfully campaigned to end widespread quarrying of the Palisades cliffs, which led to the establishment of the Palisades Interstate Park Commission (PIPC) in 1900. 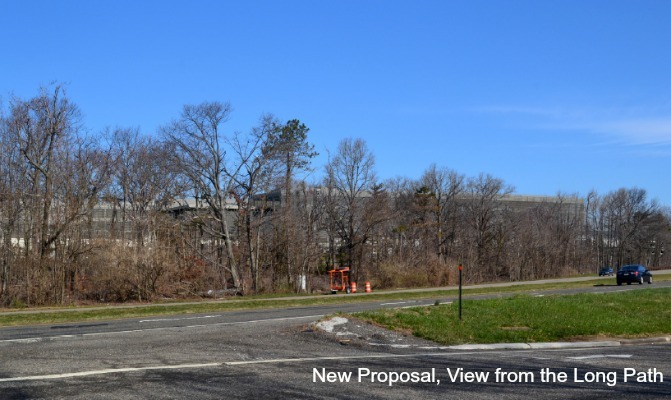 In the second battle of the Palisades, PIPC commissioners Donald Borg and Laurance Rockefeller convinced Willard Marriott to abandon a high-rise hotel just south of the George Washington Bridge in favor of the 28-acre Fort Lee Historic Site. In this latest effort, the Trail Conference and the other advocates spoke up on behalf of their members, ensuring their interests and quality of life was protected. Lawmakers in Trenton have passed Senate bill 2025 out of the Environment and Energy Committee. 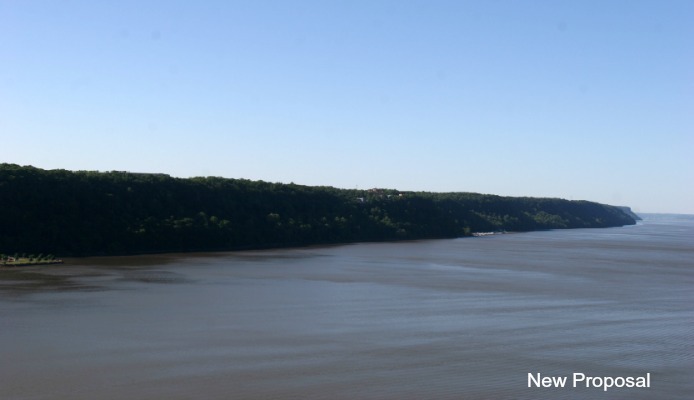 The bill would protect the scenic qualities of the Palisades permanently by prohibiting tall buildings adjacent to the cliffs along the Hudson River from Fort Lee, N.J., north to the New York State line. It is currently before the Senate’s Community and Urban Affairs Committee, according to one of its primary sponsors, State Senator Bob Smith, D-Piscataway. An Assembly version of the bill has also been introduced by John McKeon, D-Madison. Please be ready to respond when the Trail Conference reaches out to you regarding the passage of these bills. In the meantime, please thank everyone you know who contributed to the most recent settlement, including LG Electronics USA. Simulations courtesy of Satatoga Associates.